The mysterious, ambivalent unicorn has throughout history engendered myriad myths and fantasies. 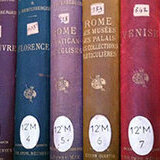 In the 1500s as well as in the contemporary period, it has been the subject of a veritable infatuation. 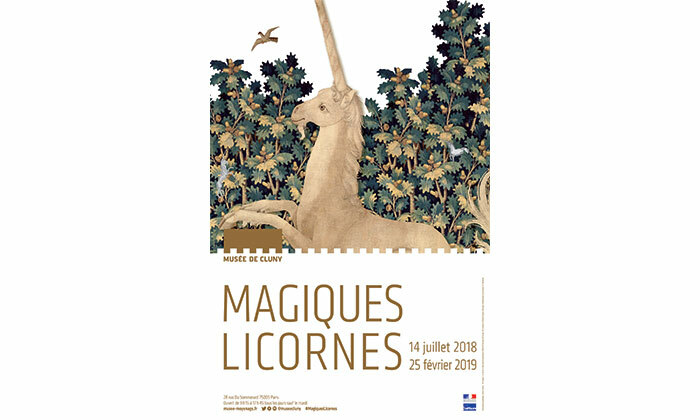 From 14 July 2018 to 25 February 2019, the “Magical Unicorns” exhibition at the Musée de Cluny – National Museum of the Middle Ages illustrates the manner in which artists have represented this legendary creature via illuminated manuscripts and engraved works, sculptures and tapestries, as well as photographs and videos. The museum’s most famous masterpiece, the set of six tapestries entitled The Lady and the Unicorn, constitutes the exhibition’s point of departure. Woven around 1500, during the transitional period between the Middle Ages and the Renaissance, these works testify to the importance of the unicorn during the medieval period. A “magical” animal with a horn that could detect poisons and purify liquids, it also symbolized chastity and innocence. Indeed, several illuminated manuscripts evoke the traditional belief that unicorns could only be approached by virgin maidens. Yet other works represent the unicorn as powerful, aggressive or even malevolent, influenced notably by tales of travellers who claimed to have glimpsed it in the Orient. In the late Middle Ages, towns, powerful lords and printers placed the unicorn within their coats of arms, emblems or brands, undoubtedly to testify to their magnificence. In 1882, when the Musée de Cluny acquired The Lady and the Unicorn, this tapestry became an inexhaustible source of inspiration. The work’s beautiful feminine figures, the mystery surrounding its creation and the persistent presence of vegetation and familiar, wild or fantastical animals all captured its admirers’ attention. Diverse artists, such as Gustave Moreau and Le Corbusier, borrowed from this medieval hanging that also inspired a ballet by Jean Cocteau, whose costumes are here displayed. In the most contemporary works, unicorn references are occasionally humoristic – notably in the poster design by Tomi Ungerer – or melancholic, as in the video by Maïder Fortuné. The exhibition is capped off by a final tribute to The Lady and the Unicorn in the form of five tapestries by Claude Rutault. 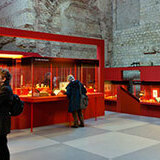 The “Magical Unicorns” exhibition is curated by Béatrice de Chancel-Bardelot, General Curator at the Musée de Cluny. Further complementing The Lady and the Unicorn, which has returned to its Parisian home after being loaned to the Art Gallery of New South Wales in Sydney, the exhibition presents other medieval and contemporary works shared by such prestigious institutions as the Bibliothèque Nationale de France, the Cité Internationale de la Tapisserie – Aubusson, the Musée de la Chasse et de la Nature and the Fonds National d’Art Contemporain. To discover at the Musée de Cluny – National Museum of the Middle Ages, from 14 July 2018 to 25 February 2019. • A game booklet for children will be available at the museum and on our website (french only). 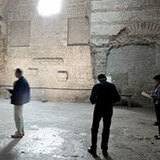 • Various activities will be held starting in September, including family tours, storytelling visits and workshops. As regularly scheduled, on Wednesdays at 2:30 PM and during the school holidays. More information on the agenda page of the french website. • Republication of Les secrets de la licorne by Elisabeth Taburet-Delahaye and Michel Pastoureau, French paperback + English version. €19. Published by RMN. • A new album: La dame à la licorne, with texts by Elisabeth Taburet-Delahaye and Béatrice de Chancel Bardelot, 114 pages. €19.90. Published by RMN. You can also dowload the press release.